Are you tired of pre-shredded cheese? Tired of ready-to-eat hashbrowns? Show your disgust of all things pre-made with this shirt. 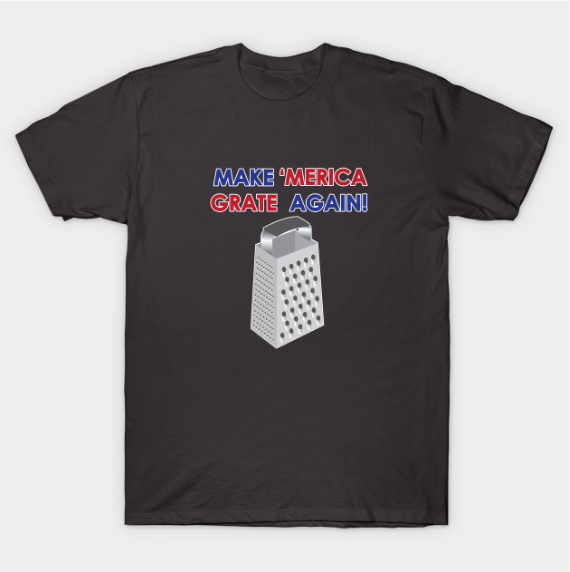 Let’s Make America Grate Again!